Looking for movie tickets? 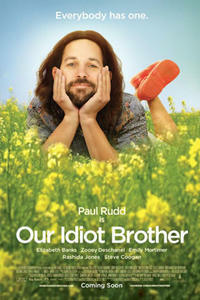 Enter your location to see which movie theaters are playing Our Idiot Brother near you. An easygoing pot dealer (Paul Rudd) disrupts the lives of his three ambitious sisters. Mature comedy mixes edgy content, sweet substance.